I just returned from an unseasonably cold visit to Tansen, Palpa, a relatively remote town in the Himalyan hills. When I say cold, I don’t mean freezing, sub-zero temperatures like the US East Coast is experiencing right now. But a shivery, bone-chilling cold in a concrete hotel with very little heating. Bedtime was a frigid affair, but with a hoodie, thick socks and a hot water bottle I slept well even though I could see my breath in the room. “Cold” can be relative. However, yesterday afternoon the temperatures were back into the high seventies and the sun shone. 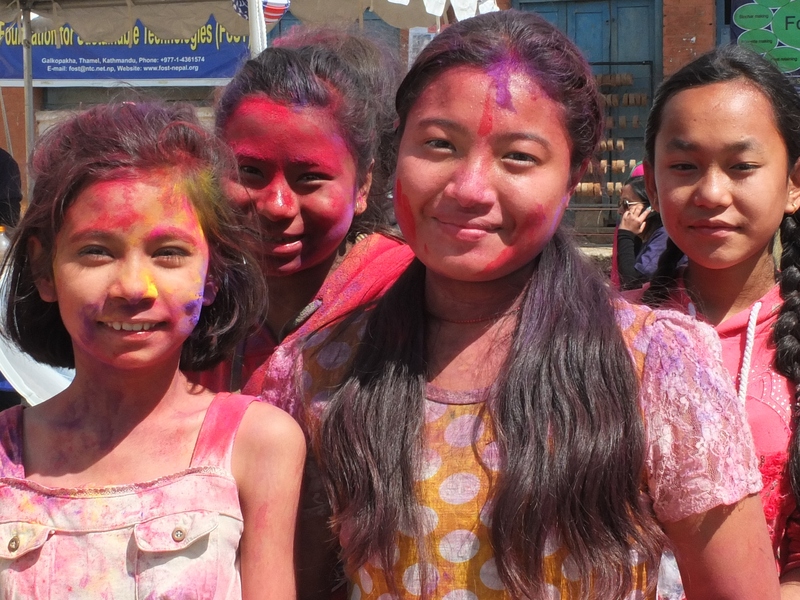 Our work event welcomed crowds of students and local children, many of whom were splashed with colour in celebration of Holi, the annual Hindu celebration known as the festival of colour. 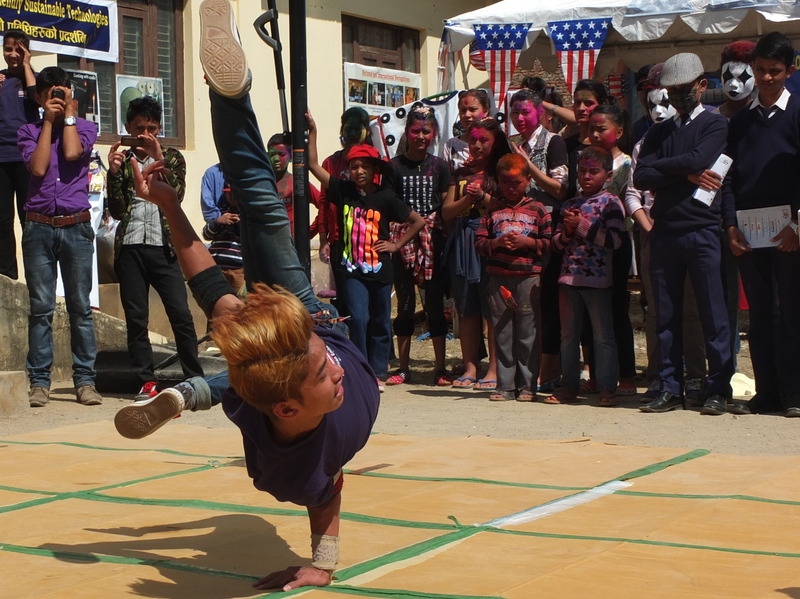 They very kindly didn’t spray me, and made a very colourful audience for our Hip Hop dancers, the highlight of my morning. 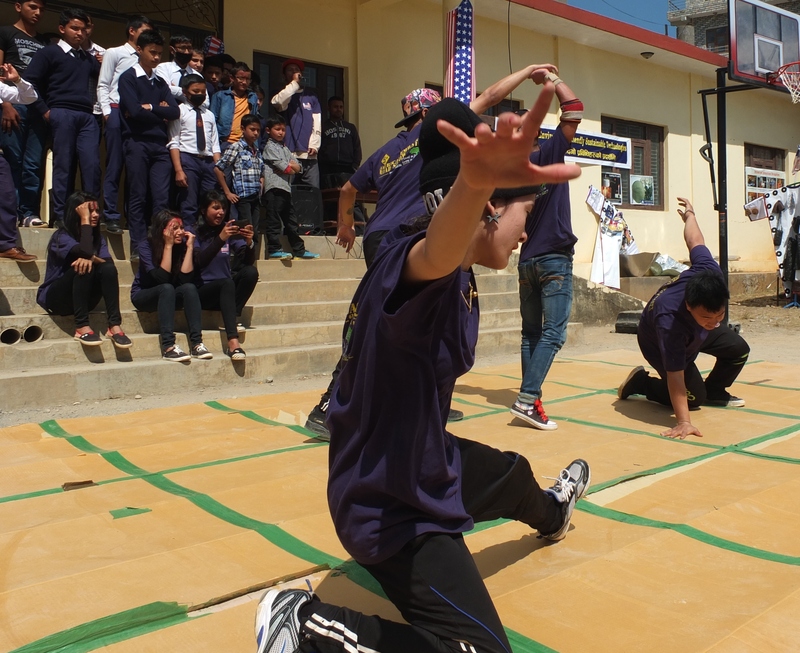 Here’s a little Hip Hop and Holi…an unlikely combination….but one that worked pretty well! ← 30 Seconds: Why I Love Elephants! What a beautiful people! Thank you for capturing it so well for us. You are very welcome ;o) I took tons of photos!